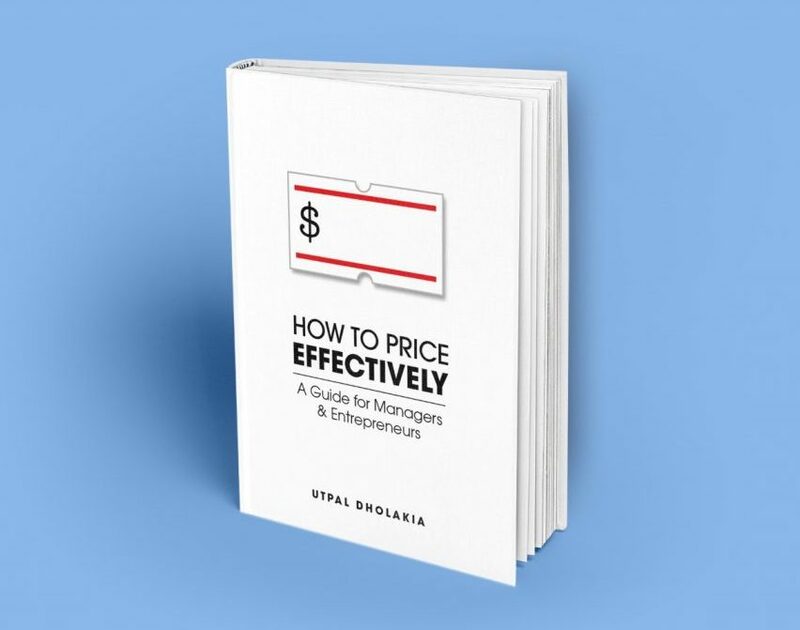 My new book How to Price Effectively: A Guide for Managers and Entrepreneurs is now available. The free offer for this book is now over. To receive news about my next book on psychological pricing titled Priced to Influence, Sell, and Satisfy: Lessons from Behavioral Economics for Pricing Success coming in mid 2019, sign up below. Subscribe: Yes, I would like to receive future e-mails from Utpal regarding his books & other publications. Pricing decisions are make or break decisions for a company. When made using a structured process and when executed competently, they can propel it towards sustained differentiation, rapid growth, healthy profits, satisfied customers, and engaged employees. But if pricing is done haphazardly, using old traditions or with cookie-cutter methods, it can lead to lost opportunity. Defective pricing fritters away a company’s competitive advantage, leaving customers irate, employees confused, and sales in a freefall. What is a good pricing decision? What factors should you consider and what methods should you use when making pricing decisions? Is charging revenue-maximizing prices the best thing to do? Alternatively, is the price that maximizes the company’s profit the best one? Can you do both, maximize revenue and profit simultaneously? Which factors should you consider when setting and changing prices? How can you earn the prices you have set? How will you know that you have made the right pricing decision and that your pricing strategy is working? What performance measures should you track to evaluate your pricing? What are the pricing best practices in business and consumer markets? How To Price Effectively introduces the value pricing framework, a structured, versatile, and comprehensive method for making good pricing decisions and executing them. The framework weaves together the latest thinking from academic research journals, proven best practices from the leading pricing experts, and ideas from other fields such as medical decision making, consumer behavior, and organizational psychology. How To Price Effectively describes what a good pricing decision is, which factors you should consider when making one, the role played by each factor―costs, customer value, reference prices, and the value proposition― and how they work together, the importance of price execution, and how to evaluate the success of pricing decisions. You will also be introduced to a set of useful and straightforward tools to implement the value pricing framework, and study many examples and company case studies that illustrate its nuances. This book will provide you with a comprehensive, practical guide to making, executing, and evaluating pricing decisions. © 2017. site by achal srinivasan.